We do have some prospects ready NOW! You can always call or email me with what you are looking for and I will add you to our contact list when one is ready! and placing that horse in training with us. Hi. I just wanted to update you on Tweedi. She is doing GREAT!!! We rode in our first parade this past weekend. When we were warming up people couldn't believe that I was bringing her to a parade since I had only had her for such a short time and then when they found out that she was just a 3 year old they really couldn't believe that I was \"brave\" enough to bring her to a prade. Joe and I had complete confidence in her since we had been working with her and taking her places. And it was so evident that you had put soooo much time into her too. By the end of the parade I think that everyone was jealous. LOL. She handeled beautifully and didn't spook at anything! It did not even bother her to pass the speakers (and that is more than I can say for some of the other horses). 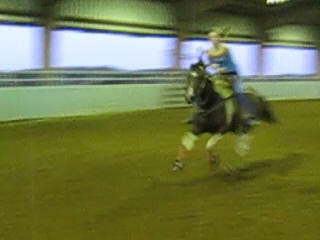 We have been working on the barrel pattern and she is doing good and I am learning ALOT! We could not be more pleased with her! Lola is doing great, spoiled rotten. We had our Playday Finals last week and she did very well for her first time. She is picking everything up quickly and really starting to work. 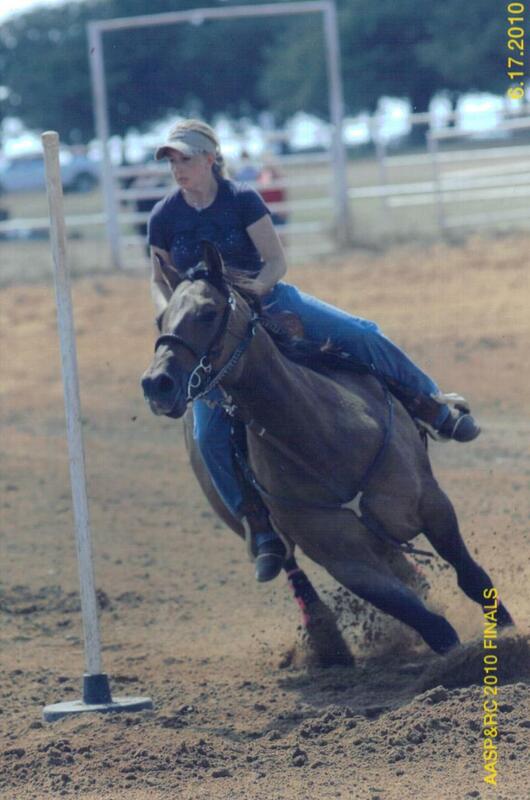 She had a great pole and barrel run. We still have playdays every month, but hopefully I can hit a couple of jackpots here and there. 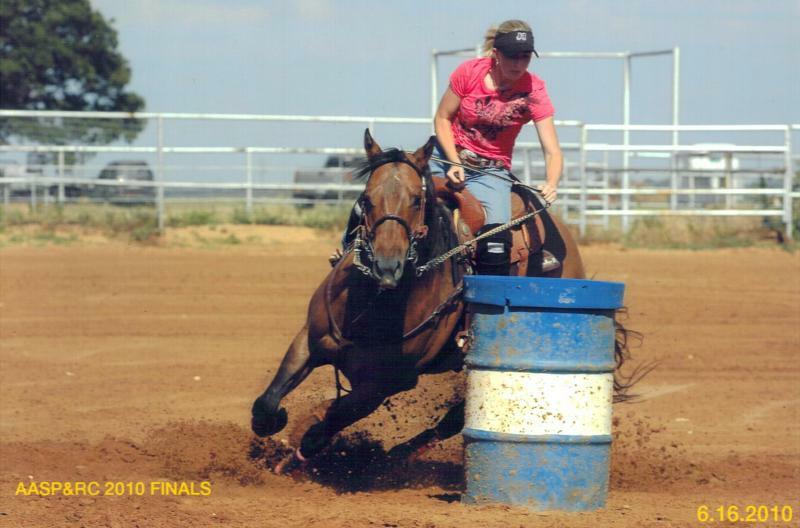 Back in April we ran at a barrel race before our Spring Round Up Playday and we won some money. Not bad for our first time of year. We as in me and her are steadily improving and really working well together. So please know that I could not be happier with her. I have attached a couple of pictures from Playday Finals. Steal her for ONLY $4,500. Click on the Small Picture to see ~LOLA~ Videos! There are NEW ones to look at!!! Flicka and her owner hit the 2D!!! Watch her run!!! Click on This SMALL Picture for the Video Link! In less then a week. To the first family to try him out! THANK YOU!!!! 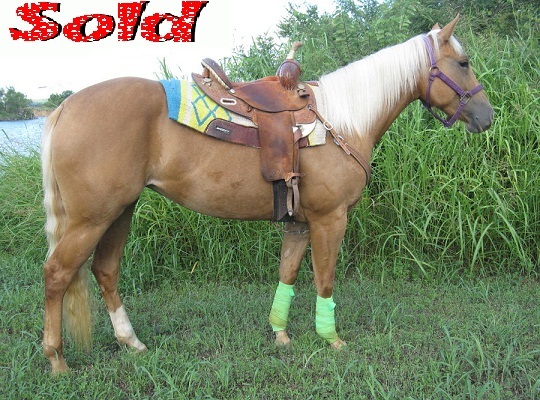 ~Doc~ Is a 7 year old grade gelding. We have owned him since he was 8 months old. He has been used as a "family horse". Our 5 and 8 year old children ride ~DOC~ with no problem. Take him on trails, barrel racing or just in your back yard! He is always a ton of fun to ride! Our kids just do not ride much and we need the room. So…. we decided it's time for this cute guy to find a family that will show him some much deserved attention! He is up to date on coggins, shots and shoeing! He is Sound and SANE!!! Call or email with any questions or to set up an appointment TODAY!!! He will not last long at only $2200. See How Nice he is!! !